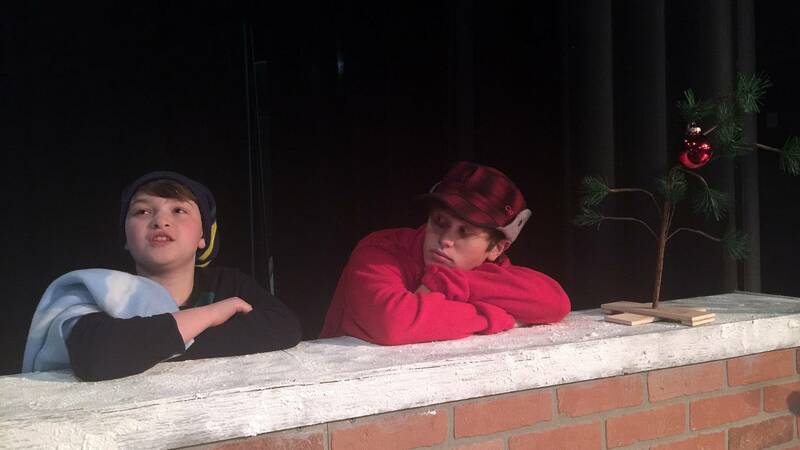 Grason Derington & Charlie Turner star in "A Charlie Brown Christmas." A beloved holiday classic will come to the stage for four performances by the young actors of the Amarillo College Conservatory Theatre. A Charlie Brown Christmas, a live-action version of the 1965 animated television special, will be staged at 7:30 p.m. Thursday through Saturday and 2:30 p.m. Sunday in Ordway Auditorium on the AC Washington Street campus. Tickets are $10. "It's soft and sweet," director Linda Hughes said. "It tells the story of Christmas in a way that everybody can feel it and hear it." Just as in the special, Charlie Brown (played Thursday and Saturday by Charlie Turner and Friday and Sunday by Alex Nair) is bummed out by the over-commercialization of the Christmas season, seeking wise counsel from Linus (played by Payton Preston and Grason Derington) while their friends frolic on on the icy lake and in rehearsals for their school pageant. 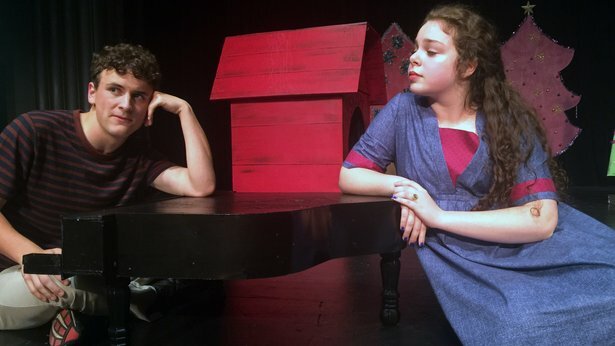 Favorites like Snoopy (played in all performances by Ethan Worsham), Schroeder (Sean Reneau), Luc (Eleisha Miller and Abigail Martin) and Pigpen (Ethan Chase) alternately tease and embrace Charlie Brown. "The characters are as true to (the TV special) as we can get out of our young actors, and that is key," Hughes said. That's "a pretty pressuring thing," said Turner, a 17-year-old student at Amarillo High School. "I definitely have to be very true to what people recognize about the character," he said. And it's internal as well as external pressure. "Me, personally, I've been growing up watching that Charlie Brown Christmas special every year," he said. So have other members of the cast. "I've watched it since I was really young," said Derington, a 12-year-old home-schooled student. "It's good that ... Charlie Brown is still relevant with what's happening now." "It tells the meaning of Christmas through the eyes of these kids," she said, "and I felt like we needed that now."